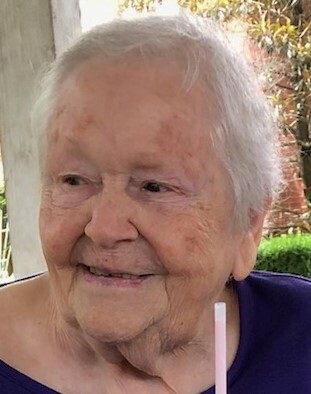 Lillie Ann Kidd, 91, of Paducah passed away on Sunday, November 25, 2018 at Parkview Nursing and Rehab in Paducah. Mrs. Kidd was a retired bookkeeper from Kidd Heating & Air and a member of Mayfield First Baptist Church. Surviving in her two children, Gary (Michele) Kidd of Paducah and Cynthia (Tom) Propes of Martin, TN; two sisters, Sylvia Kidd of Newburgh, IN, and Rose Glisson of Mayfield; three grandchildren, Steven “Andy” Kidd of Paducah, Leigh (Erik) Dowdy of Martin, TN, Andrea Crawford of Martin, TN; five great-grandchildren, Hannah, Aaron, Hensleigh, Audri, and Ava. She was preceded in death by her husband, V.C. Kidd; two brothers, LeRoy “Bud” Wilkes and Talmadge Wilkes; one sister, Phyllis Lindsey; and one granddaughter, Sherianne Mabry. Her parents were Bill and Vitrue Wilkes. Graveside services will be at 1:00pm on Thursday, November 29, 2018 at Woodlawn Memorial Gardens with Jeff Mabry officiating. Burial will follow.